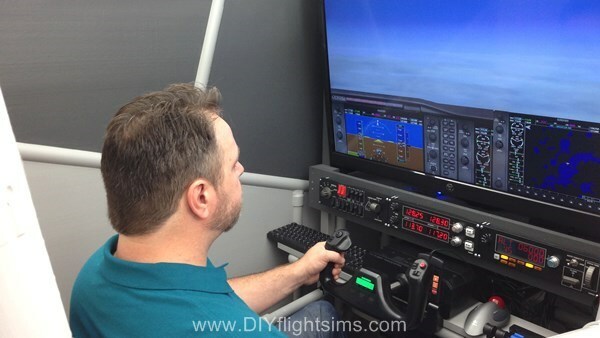 How Much Does it Cost to Build a Flight Simulator? I get this question a lot. It is a valid question, but it’s difficult to answer. People will often ask, “How much does it cost to build a flight simulator?” Does that mean they’re talking about the DIY framework of PVC pipe, lumber, and Styrofoam? Or do they really mean they are starting at zero, where they don’t even own a PC and a monitor? Or are they actually asking about the flight controls and switch panels? 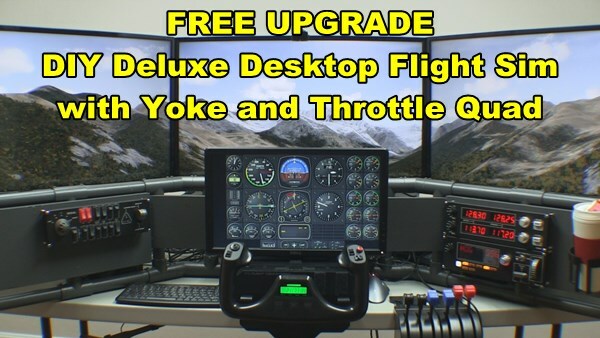 In reality, DIY Flight Sim builders have a wide variety of choices for equipping their home cockpit to match their needs. They may start with a single display now, and then add more displays later. They may start with just a yoke and rudder pedals, but add switch panels later. So when we ask how much does it cost to build a flight simulator, are we talking about how much it costs on day one, or how much it costs after slowly adding and upgrading components after a few years? I decided the best way to answer this question is to customize the answer just as each individual builder customizes their home cockpit. I built a Budgeting Tool to help determine the total price for a home flight sim setup. The Budget Tool shows how much to budget for each component and then adds those costs for a grand total. You decide how much you need to spend on your DIY Flight Sim. 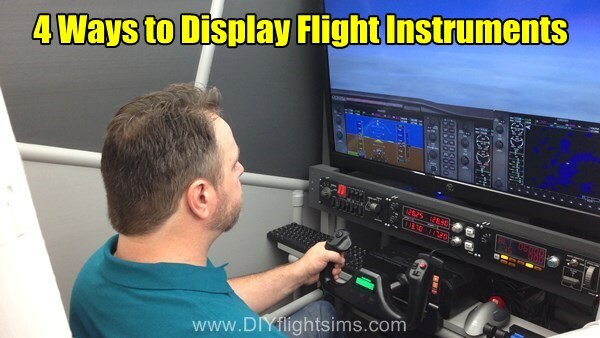 But what is an acceptable home flight sim? Some people require three screens or more to consider it a real flight simulator, some people are happy with just one. So, I also introduced three phases (levels) of progression in the Budget Tool. Phase 1 is the bare-bones minimum amount of equipment you need to have a functioning flight sim. I’m assuming a fairly decent computer and graphics card (with power supply). 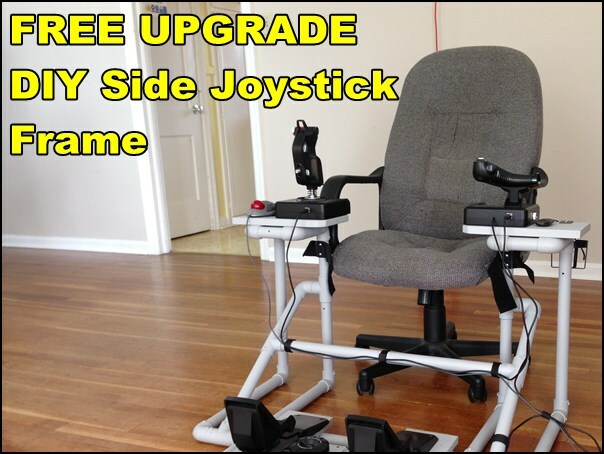 You also have the choice of flight controls: either a yoke + throttle quadrant or HOTAS joystick + throttle. In addition, you really need Track IR if you only run one display. And don’t forget the rudder pedals. Airplanes have rudder pedals, so you should too. At Phase 2 and Phase 3, I added more components to the Budget Tool. Each component gives the pilot more functionality and a better flight experience, but also adds cost. This is the trade-off you see in any budget. 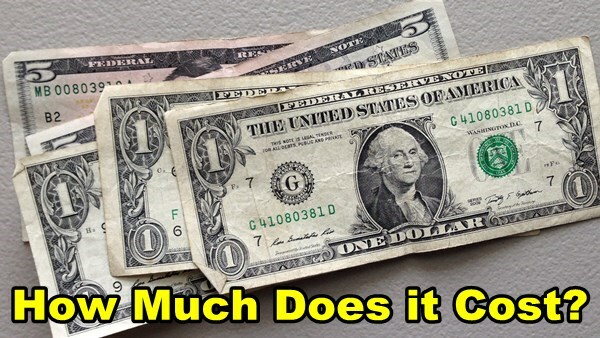 For any given component you can either budget an amount, or zero if you don’t need it yet. People tend to have their favorite sources for computer equipment and flight gear, and I’m no different. For computers, I normally go to a local place called Micro Center where I’ll typically buy a computer, but immediately upgrade the graphics card with power supply. However, the last computer I purchased was from Cybertron. The Cybertron rig was already built for gaming, so I didn’t have to upgrade anything, which was very nice. They also sent me a free t-shirt! You have a staggering amount of choices for displays. TVs are high-definition so you can use them for your flight sim, but make sure they have a fast refresh rate. Just Google for prices on HDTVs or monitors, and get the best deal you find. I used to always shop Amazon for flight controls and switch panels, but now they don’t always have the best price. I recommend starting at Amazon, but also check prices at other online retailers like FlightSim Pilot Shop. Some guys buy their gear from E-bay, so that’s always an option too. 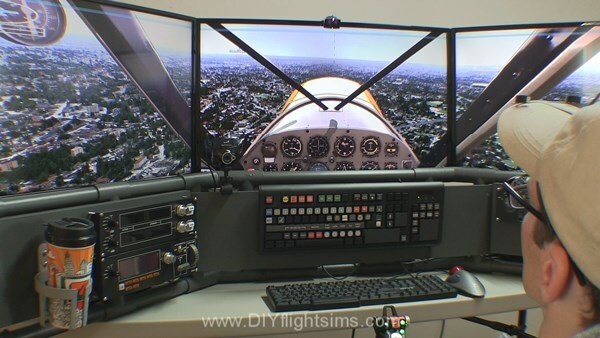 Ok, so How Much Does it Cost to Build a Flight Simulator? I recommend that you customize the Budget Tool for you. The Budget Tool is only a starting point. 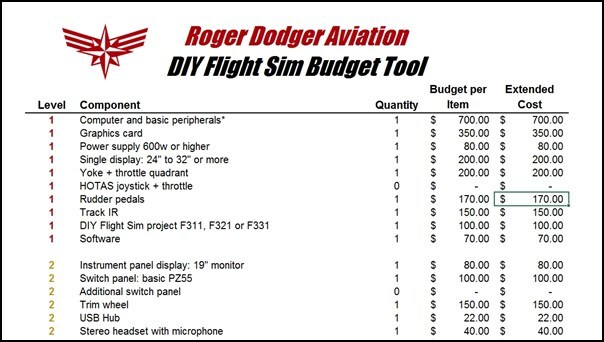 I posted it here as an Excel file… DIY Flight Sim Budget Tool v1.2 so you can change it, add to it, do whatever you need to make it useful for you. This is my first attempt at a Budget Tool, so please let me know your thoughts on this. It’s probably not perfect and I anticipate making improvements to it. Why Was This Product Discontinued? 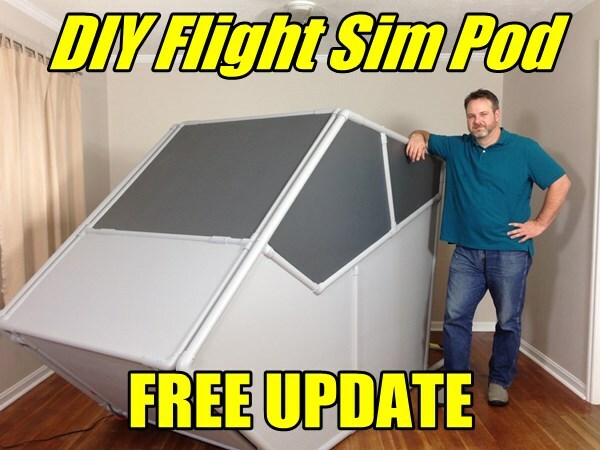 In 2017, I made a major shift in the way DIY Flight Sims tutorials are delivered. Formerly, customers had to download large compressed folders filled with videos, instruction manuals, and printouts. Starting in 2017, I migrated the tutorials to an online streaming format. 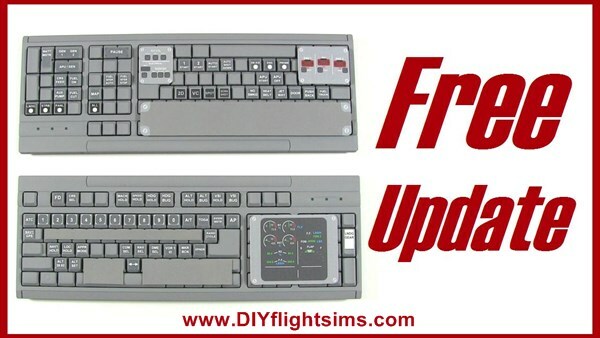 However, I couldn’t migrate every single DIY Flight Sims product. Why Did You Move to Streaming? 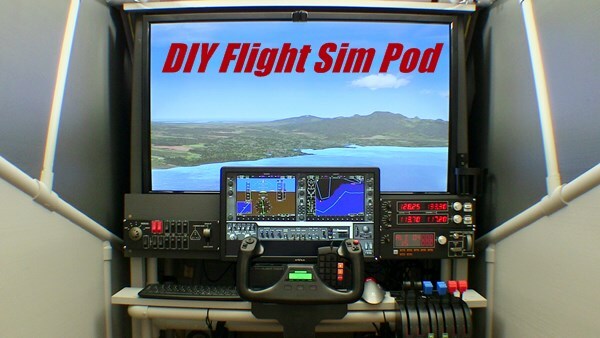 I started the DIY Flight Sims products in 2007. Selling them as downloads was the best way I could think of to deliver the products. Keep in mind, it was a different world in 2007. For example, Netflix still mailed DVDs in 2007, barely anyone accessed the internet with a smart phone, there were no iPads or tablets, and only 47% of American adults had broadband internet at home. What’s the Big Deal with Streaming? An online tutorial format is much more organized and convenient. It’s a more robust and valuable product. One way it’s better is that I’m able to present each video clip with the instructions, pictures, and diagrams for each individual step. You don’t have to look through a 40 minute video or a 60 page instruction manual if you’re trying to find something. Streaming content is great because its so much easier to view the content anywhere. All the instructions are available to you when and where you are actually building the project, like your garage or workshop. It’s easy to view the tutorials on an iPad or even your smart phone. Look at all these other reasons why streaming is awesome. 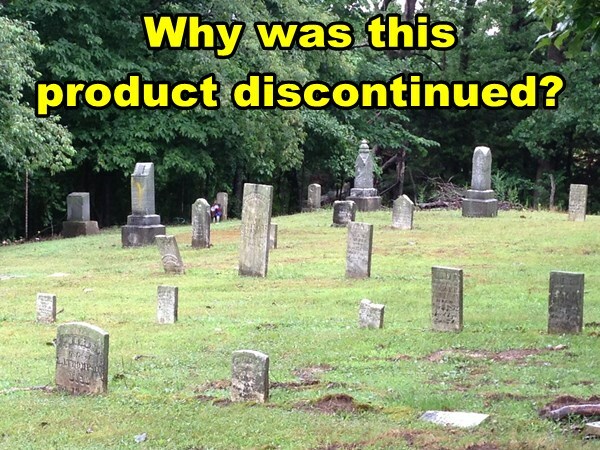 Why Didn’t you Migrate all the Products? I had to re-edit and migrate every part of each product to the streaming website. This was a manual chore and very time-consuming. I didn’t have much time for this either because of my regular full-time job and I was going to school. 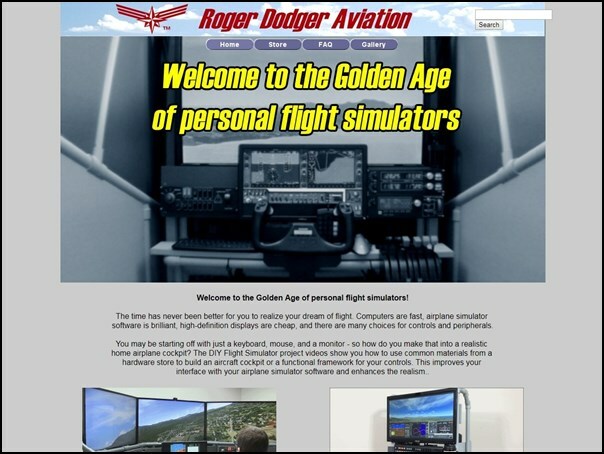 I’m actually a volunteer, I don’t get paid anything to work for Roger Dodger Aviation. All the revenue goes to pay the company expenses. Consequently, I only had the resources to move the best-selling products. This was a tough choice, because I love all my projects and worked hard to produce them. I let the market decide which products had value, and I discontinued the rest. Can I Still Get a Replacement Download if I Lose My Files? Yes… for a while. I keep all the product download folders on a service called PayLoadz. If you lose your product files, I can give you a PayLoadz link to get a replacement. PayLoadz charges me money to provide controlled access to the files. As a result, I don’t know how long I can afford to keep those old products on PayLoadz. I recommend you keep a backup of your files in case your hard drive crashes. I can teach you how to build a DIY flight sim with these homemade cockpit plans. 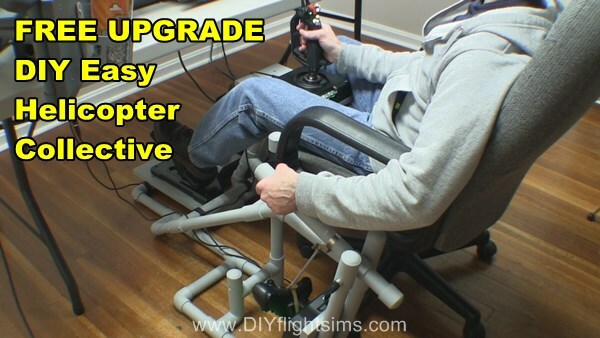 You can improve your flight sim significantly with inexpensive materials that are available at your local home improvement store. 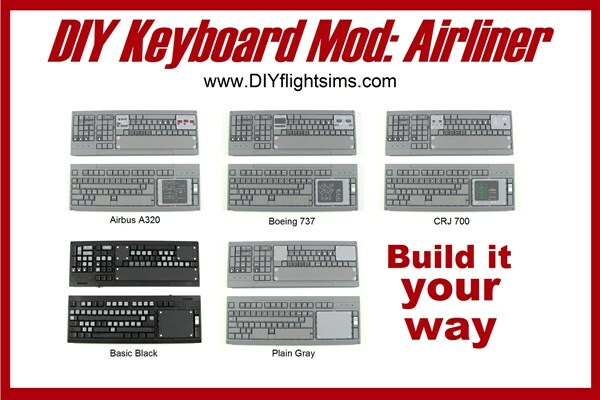 In addition, buy your flight controls from Amazon or other online retailers, and use standard computer equipment. 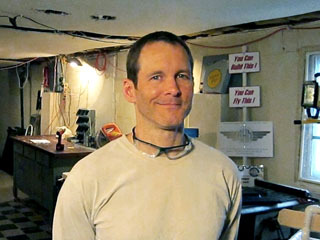 My homemade cockpit plans are videos, illustrated instructions, plan drawings, and printouts that show you the construction of an actual DIY flight sim. It’s easy to order my homemade cockpit plans. Every project is a full-featured online tutorial, so you never have to wait for shipping. I don’t sell the building materials, you already have them in your neighborhood at your local hardware store. 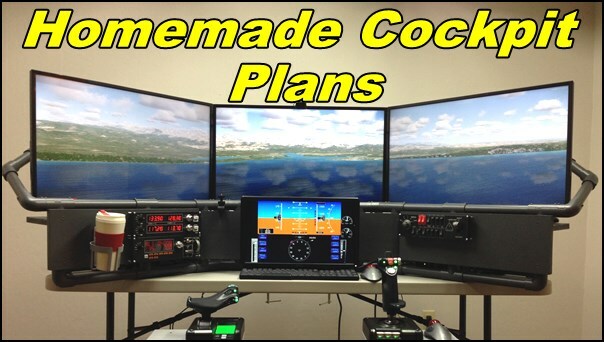 Find the homemade cockpit plans your want and click “View Course”. Click “Buy” to enroll in the course. 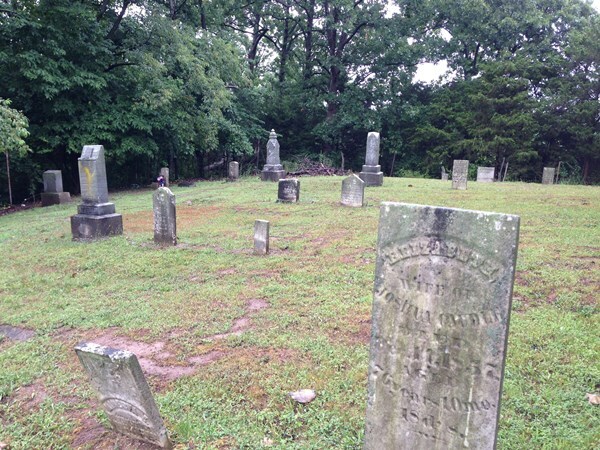 Click “Fee Trial” to see the sample sections of the plans. Enter your name, email, and password (or just log in if you already enrolled in Builder Academy). Select “Check Out with PayPal” at the order screen or “Have a coupon” if you have a coupon code. Complete the purchase on PayPal. You don’t need a PayPal account. View the plans on any device: tablet, smartphone, desktop, or laptop. View all of the content in an internet browser, so you don’t have to worry about file formats, or downloading folders, or extracting files, or anything like that. You can focus on the project, not the computer programs. A few printouts are included too. You can either view them on screen, or print a hardcopy, if you prefer. Did you lose your password? No problem. My website has a standard password recovery/reset function. You can get access to the plans again and get back to building in no time.